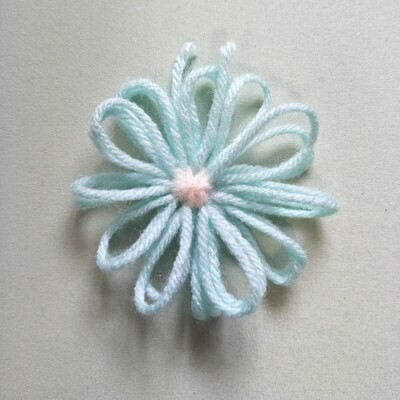 Loom flowers are so easy, so fun, and if you make your own loom and use leftover yarn, they wont cost anything to make! 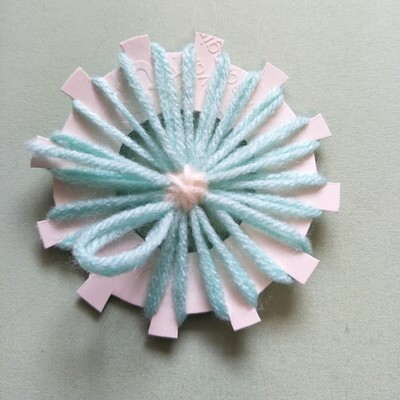 I've already shown you how to make your own flower loom. 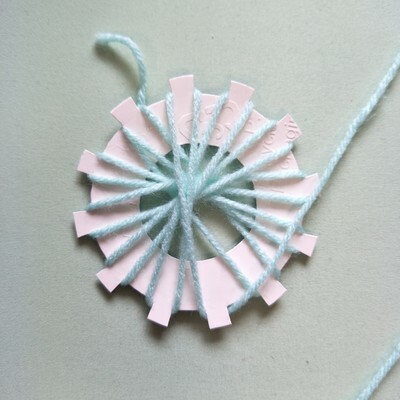 In this article we will go through the process of making a yarn flower with a flower loom. 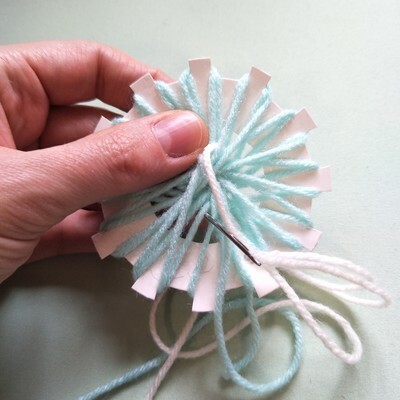 This activity is suitable for an older child who can use a blunt needle confidently, but with adult help even young children can make yarn flowers with a flower loom. My 3 1/2 year old was able to wrap yarn around the loom (with directions from me and help with the yarn tension). 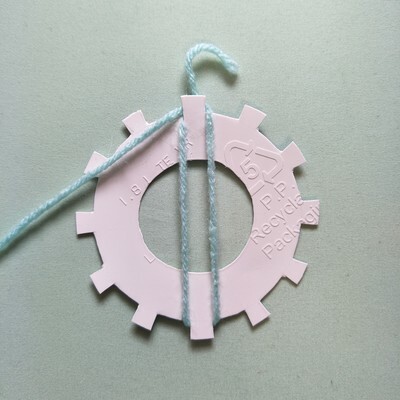 The following instructions show the yarn being wrapped in a anti clock-wise direction, but a clock-wise direction works just a well - use whatever direction you feel comfortable with. Hold your yarn on the left side of the prong in the 12 o'clock position. If you like you can cut a little slit to hold the yarn in place. Bring the yarn down and around the prong in the 6 o'clock position. Bring the yarn back up and under the prong in the 12 o'clock position. You have now completed your first loop. 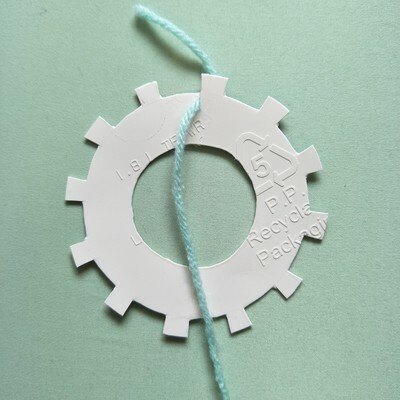 Bring the yarn down to the prong right of the 6 o'clock prong and make a loop in the same way with the prong to the left of the 12 o'clock prong. 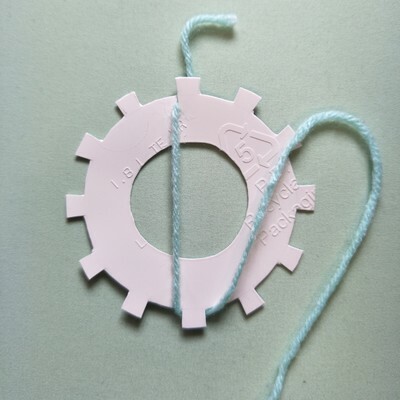 Continue making loops in a anti clock-wise direction until all prongs have yarn around them. Now continue until all prongs have 2 strand of yarn around them. 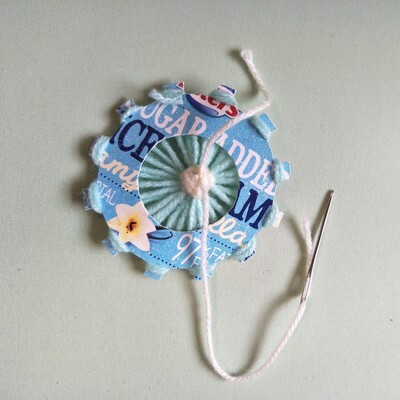 Thread the blunt needle with the yarn you want to use to create the centre of the flower. 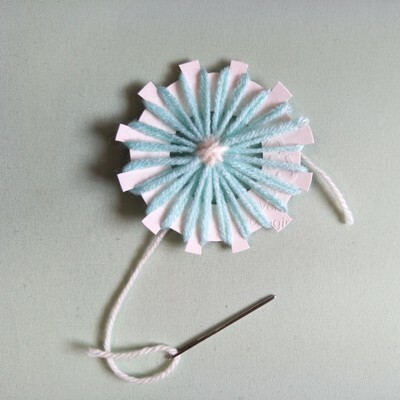 Bring the needle from behind the flower loom (leaving a loose tail of about 15cm behind the flower) and in-between the petals (loops are petals), cross over the centre of the flower and bring the needle down between petals on the other side of the flower. 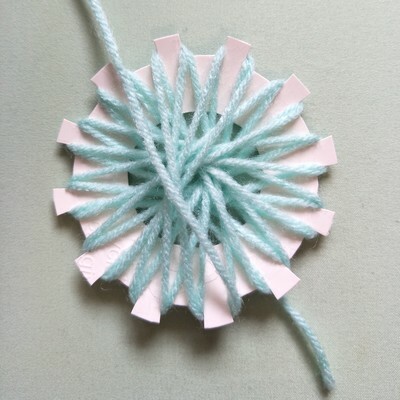 Continue this last step all around the flower until there is yarn in-between all petals. Remove the needles and tie the loose ends together with a double knot. 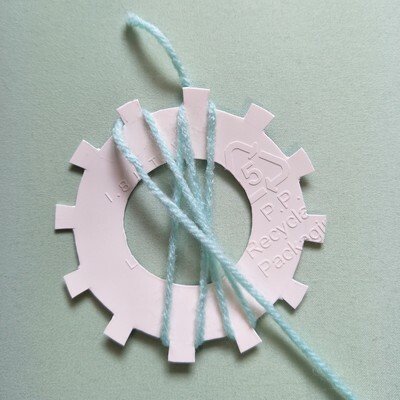 Tidy up the loose ends by snipping them off close to the knot. Ease off the petals from the prongs (you can bend the loom slightly to help with this).